My husband and I were undecided whether to stay or leave. It was one of the hardest decisions we had to make and to say the least, I was torn. The rain continued and it seemed as though it wouldn’t stop. 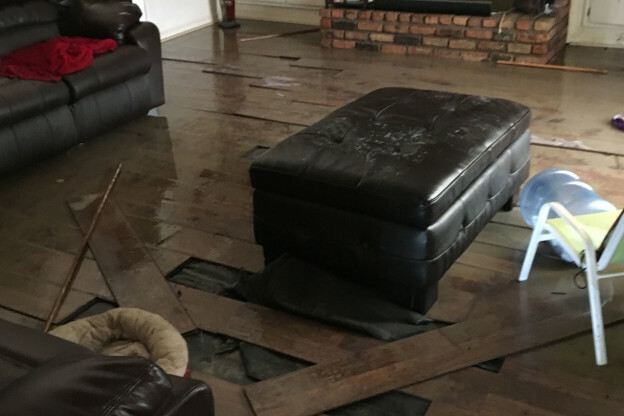 I wanted to leave because I saw on the news that several people were being rescued from their homes, but my husband said we would be fine because the area hadn’t flooded before. After a lot of deliberating, I was able to convince him it would be best for us to go. As we left I became overwhelmed, the thought of not knowing what we could be coming back to made me very anxious. We left before my work shift on Saturday, August 13, so my husband dropped me off at the hospital and headed to my mother’s house with our two girls. I have been a nurse at Woman’s for 11 ½ years and my coworkers have become an extension of my family. My fellow nurses tried to keep me preoccupied and comfort my fears, but all I could do was watch and wait. Our neighborhood has a mobile app that allowed me to see pictures of the rising water around the area. In the end, our home took on four feet of water and we lost everything. Looking back, I’m glad we left when we did because we were able to drive out of the neighborhood with one of our vehicles. 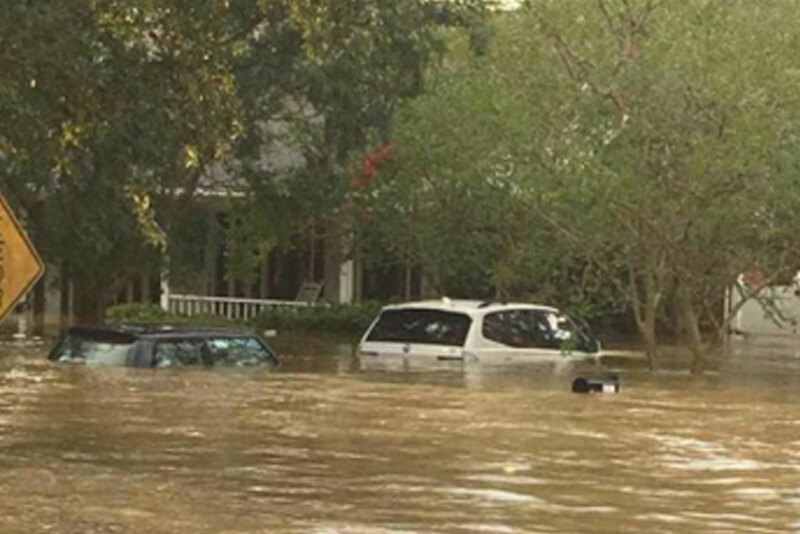 Most of my neighbors had to be rescued and taken out by boats. Because I was already at work, I saw the need for help and decided to stay. Many of my co-workers weren’t able to get to work due to the flooding and some areas were short staffed. I was fortunate that Woman’s was able to provide me with a room for lodging and a place to rest between shifts, but I was glad to be able to help so many others who were in need. Being able to be at work and helping others allowed me to not think about what was out of my control. I stayed at the hospital for four days. My coworkers, myself and many others gladly took on tasks that weren’t typically ours and helped out where we were needed. It was so inspiring to see the Woman’s team rally together to ensure that patient care wasn’t compromised during this difficult time. The day we were allowed back into the house was awful. It felt as if we had been robbed! Everything was wet and covered in mud. 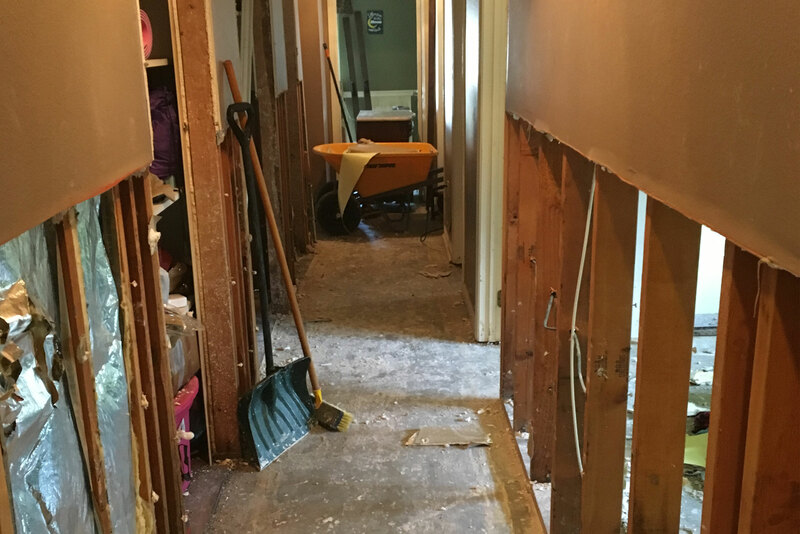 The refrigerator had shifted and fallen, the sofa was flipped over, the floors had begun to pop up, toys were all over and the washing machine had been moved and fallen in a way that we couldn’t even open that door. It is very heartbreaking to see everything you have worked for ruined. Despite all of the destruction and loss, we have been blessed! It was truly amazing to experience the amount of support and help that came from our community. We had students from Episcopal High School that volunteered to help us bring everything we had to throw away out to the street. A food truck parked in the front of the neighborhood and provided hot meals to everyone. Our daughters’ school, Baton Rouge Center for the Visual & Performing Arts, assisted us with meals, uniforms for the girls and many other items. Our church members at Grace Life Fellowship came to help with the demo and clean up. We even had people volunteering to wash clothes, so we could try and save a few things. In addition, my Woman’s family assisted without hesitation. Through their partnership with the Red Cross, Woman’s provided us cleaning kits and supplies that helped with the demolition process. They also provided us with sheets, bedding, towels, shoes and pet supplies for our dog. Their help meant so much to me and my family. So many lives have been affected by the flood, it seems as though everyone knows someone who lost something. We are fortunate to be able to stay with my mom; however, it remains difficult to create some type of normalcy for our children who are still looking for answers as to why we can’t go home and what happened to their stuff. 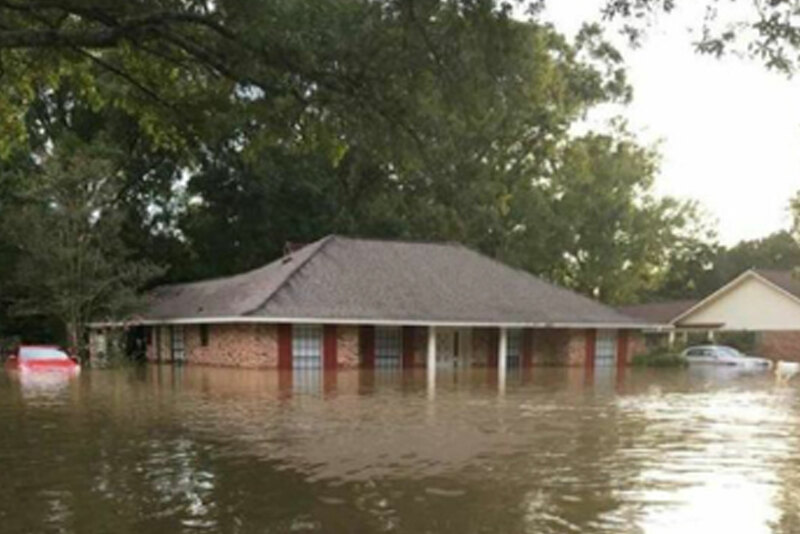 Because of the magnitude of the flood and so many affected, it is unclear as to when we will be able to return home. But through it all, we are thankful to have only lost material things. I am grateful for the support we have received from family and friends, including those at Woman’s, for all they have done for us during these trying times.